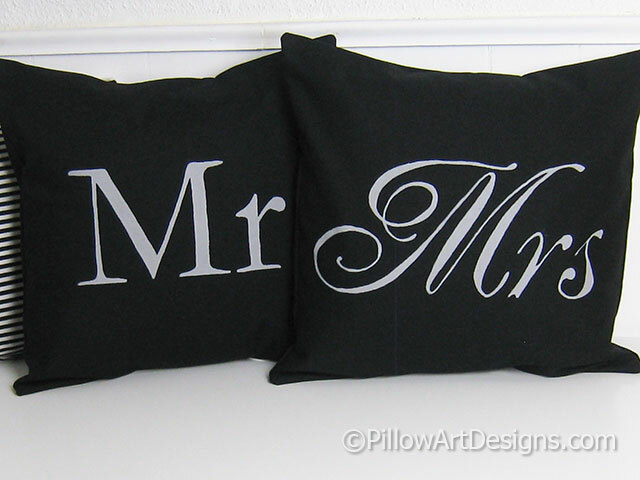 A set of Mr and Mrs pillow covers, sized to fit 16 inch X 16 inch inserts (not included). 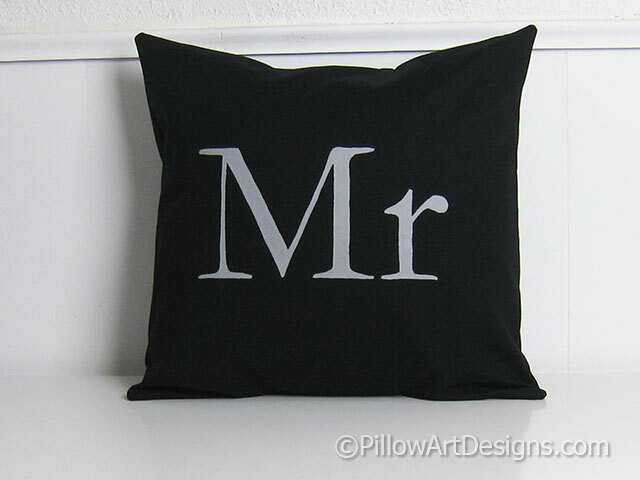 Covers are hand painted in 'stone grey', the Mr is painted in a masculine font, the Mrs painted in a feminine font. 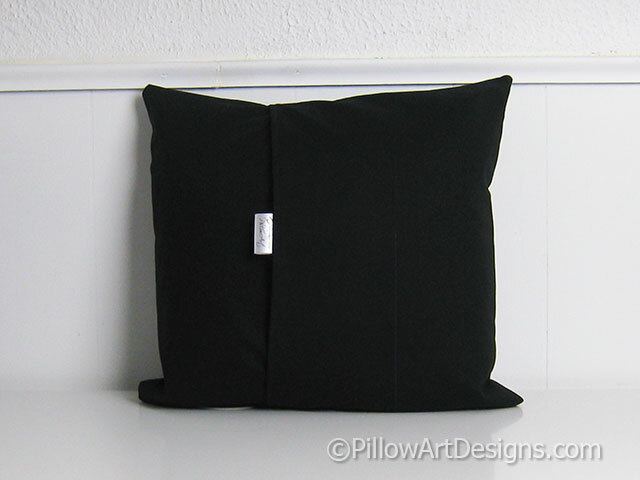 Fabric is midnight black stretch canvas, fully lined with 100% cotton. 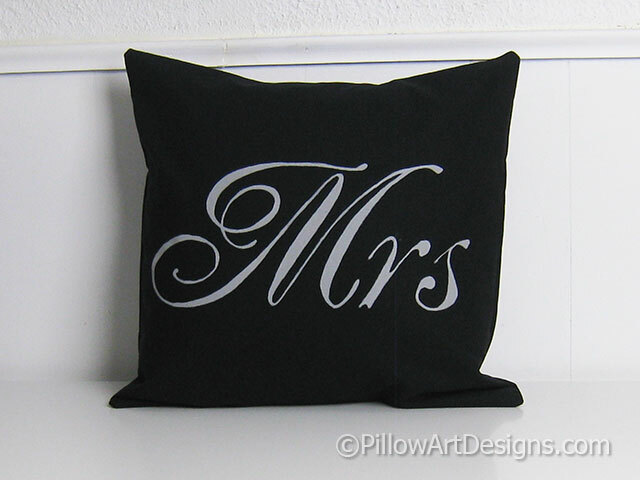 Seams are double stitched for durability, overcast to prevent fraying. For the best results, spot clean or hand wash in cold water, lay flat to dry. 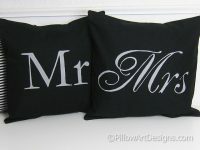 Please note: These pillow covers are made to order, please allow me one week to complete your order.